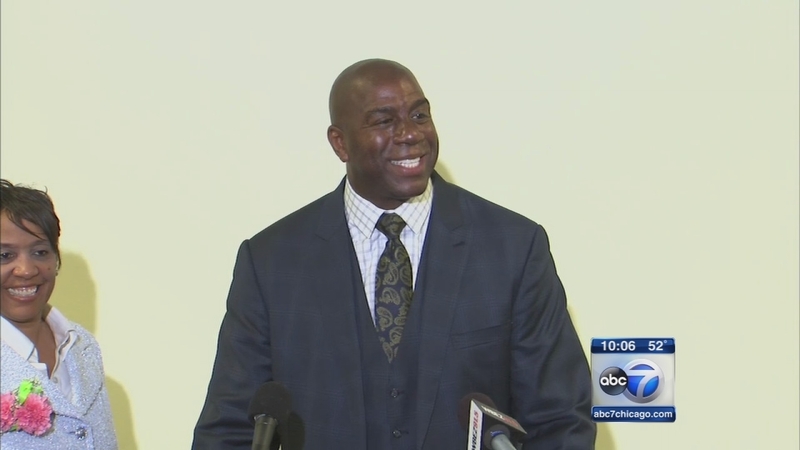 CHICAGO (WLS) -- Earvin "Magic" Johnson is making a big investment in Chicago's youth. The NBA legend and Kimbra Walter are co-founders of Inner City Youth Empowerment. They are expected to announce a two-year, $10 million investment in the city's summer job program for at-risk youth, One Summer Chicago Plus. The mayor's office said the funding is expected to provide 5,000 jobs for children and young adults who are at risk of becoming involved in violence. One Summer Chicago Plus provides opportunities for young people to work 25 hours a week, to connect with mentors and build social skills.